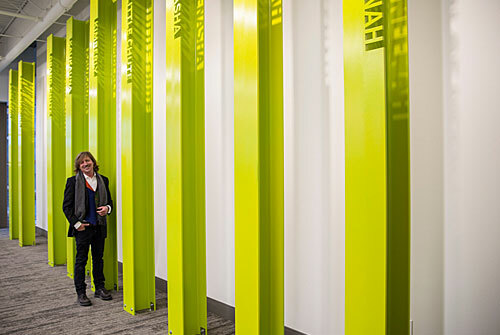 When the city of Appleton threw a grand-opening party Jan. 11 for its new $31.9 million downtown exhibition center, Lawrence University art professor Rob Neilson’s talents were one of the building’s star attractions. 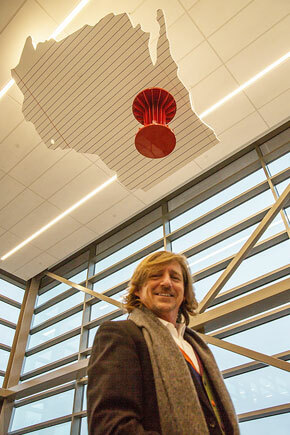 Rob Neilson stands under his sculpture “You Are Here,” which hangs from the ceiling. Three projects of Neilson’s — “You Are Here,” “We Are Here” and “Community Caryatids,” a series of 10 I-beams representing each of the local municipalities contributing financially to the center — provide an artistic connection between the 30,000-square-foot facility, the people and communities who built it and the visitors it will serve. Neilson proved he’s not only highly creative, he also can work fast. From the time he was first selected for the art commission from among three finalists to the completion of all three projects: 10 months. Two of the projects are designed to complement each other. “You Are Here” is a 12-foot–by-13-foot sculpture project suspended from the ceiling of the ground-level floor. It features a cutout of the state of Wisconsin with a giant red pushpin inserted where the Fox Cities would be on the map. 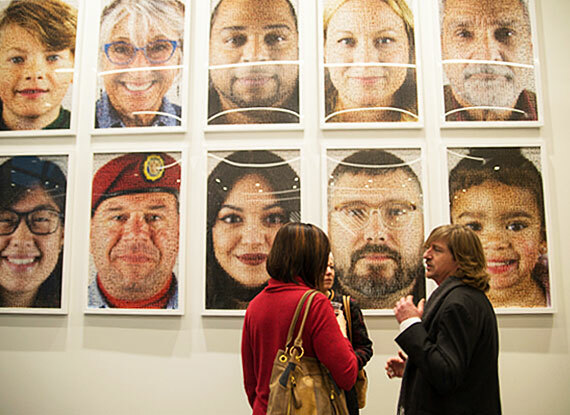 “We Are Here” is a series of 10 oversized portraits each comprised of 1,000 individual headshots shot last summer and fall of citizens from throughout the Fox Cities. “The sculpture project was where I started. 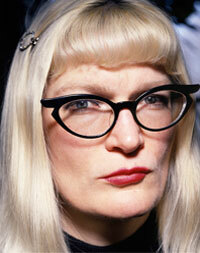 I was thinking about what is this exhibition center, what is our community trying to do?,” Neilson explained. “They’re trying to get people to the Fox Cities, get people to come and stay. It’s about travel, destination, the history of this place and how geography and landscape has shaped this community. Rob Neilson chats with guests in front of his “We Are Here” portrait project at the grand opening of the Fox Cities Exhibition Center. As a sculptor, the portrait project was a giant step outside of Neilson’s experience with a rather steep learning curve. “The project really was me in the community, talking with people, meeting with people, people collaborating with us, telling us how happy they were. That was meaningful in a way I wasn’t prepared for and it was a great surprise. Despite his self-admitted photographic limitations, the bigger challenge, he discovered, was a game plan for actually taking 10,000 individual head shots in a very compressed time frame. “How do I get images, how do I get people engaged, the logistics of it all was the thing that was keeping me up nights,” said Neilson, who found himself taking pictures seven days a week, including many days that stretched to 12-plus hours. Saturday morning downtown Appleton farmer’s market crowds provided Neilson with plenty of potential, if not sometimes leery, subjects. 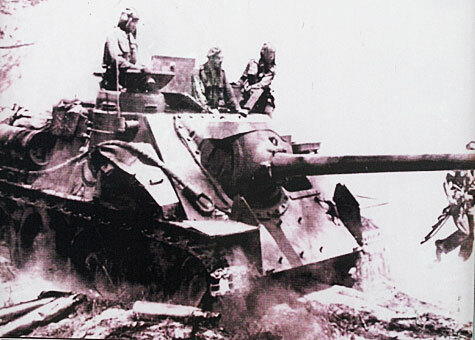 “The first time we went out on Oct. 21, people didn’t quite understand what we were doing. Given the setting, people assumed we were there to sell something. I can’t tell you how many times we had to say, before they even got to ask, ‘100% free!’ That was the line. “Once we started rolling, once people understood what we were doing, we didn’t have to sell the idea every single time. It bloomed rapidly,” added Neilson, who said every person who had their picture taken wound up in one of the final portraits. While he doesn’t like to name favorites among his many public art works, Neilson said the photography project is one that will stay with him forever. “The project really was me in the community, talking with people, meeting with people, people collaborating with us, telling us how happy they were,” he said. “That was meaningful in a way I wasn’t prepared for and it was a great surprise. 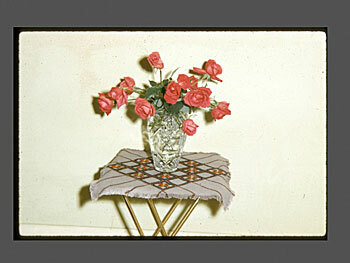 The center’s third project was the result of a bit of happenstance. While attending a meeting about ways Miron Construction, the building’s general contractor, could recognize the communities involved with its construction, Neilson was asked if he had any ideas. Rob Neilson’s “We Are Here” photography project dominates the south wall of the main floor of the expo center. Appleton is home to several other public art projects by Neilson, including engraved manhole covers depicting some aspect of compassion. He also has done projects in Los Angeles, Charlotte., N.C., and for the Long Beach Transit Authority. 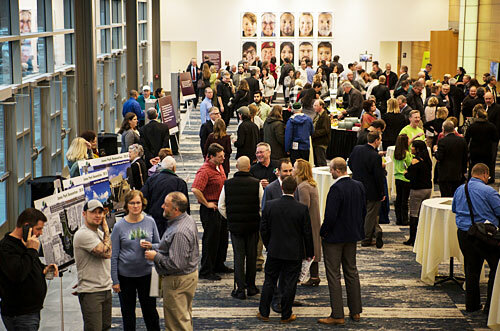 The Expo Center projects were capstone of very happily busy year for Neilson. Internationally renowned Cuban artist Nelson Ramírez de Arellano delivers the opening talk for Lawrence University’s Wriston Art Center Galleries’ latest exhibition Friday, Jan 12 at 6 p.m.
A reception follows Ramírez’s remarks. Both are free and open to the public. The new exhibition runs through March 9. The visit by Ramírez, the director of the Cuban national photography archive in Havana, is in conjunction with the exhibition “The Light in Cuban Eyes: Selections from the Madeleine P. Plonsker Collection of Contemporary Cuban Photography” in the Hoffmaster Gallery. Shot in styles described as “ranging from fabulist to gritty,” the exhibition features photographs taken between 1992-2012, a difficult period in Cuba’s history following the loss of financial support from the former Soviet Union that continues today. 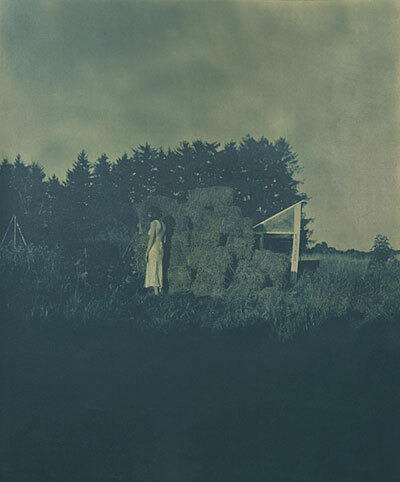 The Leech Gallery showcases new additions to Lawrence’s permanent collection in “Through the Lens: Recent Acquisitions in Photography.” The exhibition features two images by Lawrence studio art faculty John Shimon and the late Julie Lindemann. Other images in the exhibition came to Lawrence as part of The Museum Project, which places work by contemporary photographers into museum and gallery collections like the Wriston. “Pulped Under Pressure,” which examines the art of handmade paper, will be featured in the Kohler Gallery. Incorporating a wide range of materials — junk mail, egg cartons, ripped denim jeans, bedsheets and even heirloom plants — this group of seven female artists use printmaking, letterpress, papercutting and installation to create art that combines contemporary issues with history and craft. Two of the artists involved in the exhibition, Reni Gower and Melissa Potter, will demonstrate papermaking techniques at Lawrence Feb. 1 and 2. 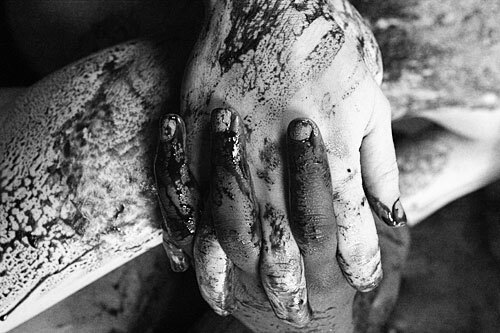 They will also deliver a public talk about their work Feb. 1 at 4:30 p.m. in the Wriston galleries. The “Pulped Under Pressure” exhibition and community programs are generously supported by AZCO, Inc. The Wriston Art Center is open Tuesday-Friday 10 a.m. – 4 p.m.; Saturday-Sunday noon – 4 p.m.; closed Mondays. Free and open to the public. For more information, 832-6621. For anyone who has ever dreamed of being “immortalized,” now is your chance. 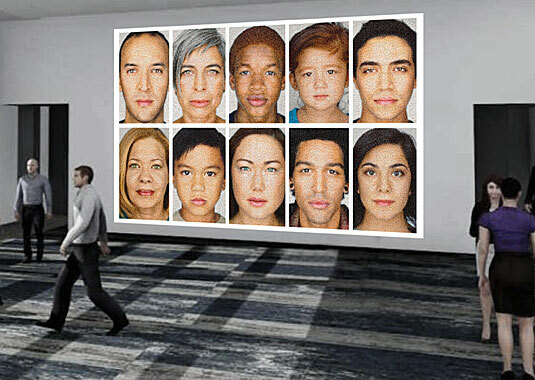 Rob Neilson, Frederick R. Layton Professor of Art at Lawrence University, is looking for nearly 10,000 people who would be willing to have their face — in the form of a headshot — included in the commissioned art project “We Are Here” that will be installed in the new Fox Cities Exhibition Center. The finished project will be a series of 10 individual portraits. 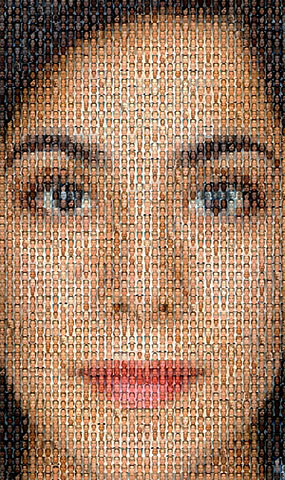 Covering an area 10-feet-by-7-feet, each individual “face” will be a mosaic made up of nearly 1,000 individual photographs of people from throughout the Fox Cities. • Downtown Appleton Farm Market – Nov. 11: 9 a.m. – 12:30 p.m.
• Appleton Public Library — Nov. 18: 9 a.m.-12 p.m.
• Fox Cities Performing Arts Center — Nov. 8: 5:30-7:30 p.m.; Nov. 9: 7- 8:30 p.m. The “We Are Here” project was commissioned by the city of Appleton and will be installed on the ground floor of the Fox Cities Exhibition Center. The grand opening celebration for the center is scheduled for Jan. 11, 2018. For more information on the project, visit http://www.weareherefoxcities.com/ or http://www.facebook.com/WeAreHerePublicProject. If any area group or business or event anywhere in the Fox Cities would like to schedule an opportunity to participate, contact the project at: WeAreHereFoxCities@gmail.com. In conjunction with his show “Aureole” in the Kohler Gallery, Patrick Earl Hammie delivers the opening talk for Lawrence University’s Wriston Art Center Galleries’ latest exhibition Friday, Sept. 29 at 6 p.m.
A reception follows Hammie’s remarks. Both are free and open to the public. The new exhibition runs through November 17. A native of New Haven, Conn., Hammie is known for his large-scale portrait and figurative paintings, through which he examines topics such as cultural identity, social equity and aspects of gender and race. With interests in the history of painting, he applies historic conventions in a contemporary context to create fresh ideals of bodies of color and women. “Aureole” is featured in the Kohler Gallery. An associate professor at the University of Illinois at Urbana-Champaign, Hammie has been recognized as an “Artist to Watch” by the International Review of African American Art. 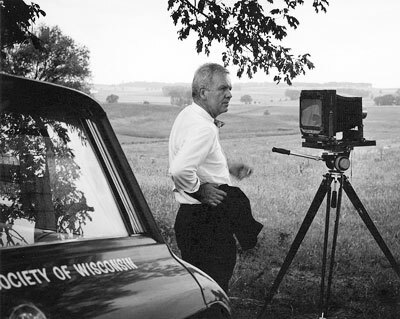 His work has been exhibited throughout the U.S. and abroad, and is included in several prominent collections including the J.P. Morgan Chase Art Collection, John Michael Kohler Art Center and the William Benton Museum of Art in Connecticut. The Hoffmaster Gallery hosts “Our Trans Family,” an exhibition of photography and text reflecting the worth and dignity of transgender people. The project is a partnership between Cream City Foundation and “For Good” Photography, which worked with several organizations throughout Wisconsin to capture a broad range of transgender people in an effort to show them as they express themselves and with the support of their natural or chosen families of support. 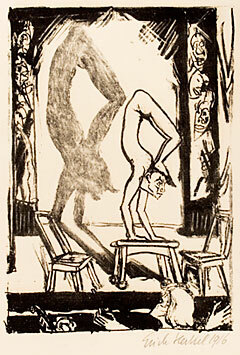 “Handstand (Acrobat),” Erich Heckel, 1916, from Lawrence’s La Vera Pohl Collection of German Expressionism. Curated by 2017 graduate Kali Steinberg, “Mirth & Melancholy: The Circus in Modern Art” will be shown in the Leech Gallery. Works in the exhibition are drawn primarily from Lawrence’s La Vera Pohl Collection of German Expressionism and includes works by Marc Chagall, Otto Mueller and Erich Heckel. The featured prints and paintings reflect artists’ fascination with the circus, both the entertaining side and the sad, often revealing their own contradictory feelings about the rapidly changing world. 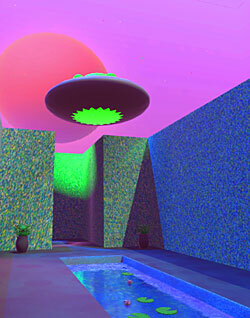 Final Form: Desolation by Malcolm Lunn-Craft. 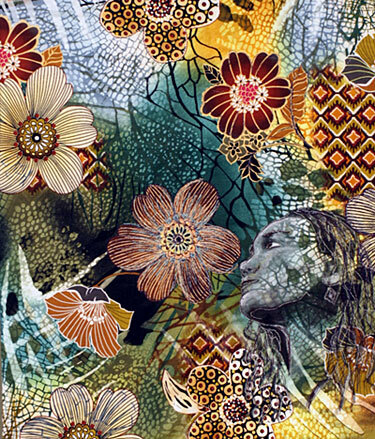 The creative talents of 12 Lawrence University student art majors will be showcased in the annual Senior Major Exhibition opening Friday, May 26 in the Wriston Art Center galleries. The exhibition, which is free and open to the public, runs through July 2. Media in the exhibition includes ceramics, digital art, installation art, painting and drawing, photography, printmaking, sculpture and virtual reality. 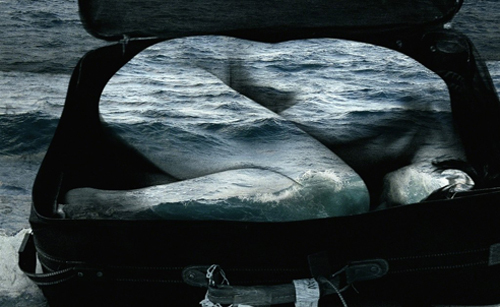 An inkjet print from Noah Gunther’s “Mystery Ocean” virtual reality program and installation. • Lexi Ames, White Bear Lake, Minn.
• Michael Hubbard, Chicago, Ill.
• Willa Johnson, Ann Arbor, Mich.
• Malcolm Lunn-Craft, Brooklyn, N.Y.
• Cael Neary, Naperville, Ill.
• Nick Nootenboom, Portland, Ore.
• Molly Nye, Los Angeles, Calif.
• Alison Smith, San Leandro, Calif.
• Nina Sultan, Bloomington, Ill.
• Ridley Tankersley, Phoenix, Ariz. Eight Lawrence University art majors will have their creative work featured in the annual senior major exhibition opening Friday, May 27 in the Wriston Art Center galleries. The exhibition, which is free and open to the public, runs through July 3. 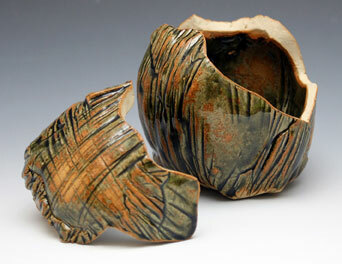 A reception with the student artists at 6 p.m. opens the exhibition. 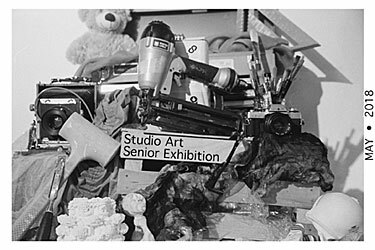 Works in the exhibition include photography, ceramics, sculpture, textiles, paintings, installation and performance art. • Oumou Cisse, Washington D.C.
• Tess Gundersen, Santa Fe, N.M.
• Liam Hoy, Chicago, Ill.
• Abigail Kosberg, Wildwood, Ill.
• Laura Udelson, San Francisco, Calif.
Photographs taken by Lawrence University Professor of Spanish Gustavo Fares during a recent trip to Cuba will be exhibited in the Warch Campus Center from May 2-18. The exhibition, “Cuba: The Revolution from the Inside,” features 10 large-scale digital prints of photographs Fares took of display cases inside the Museo de la Revolución — the Museum of the Revolution — in Havana, which served as Cuba’s presidential palace until 1959. In light of President Obama’s recent historic visit to the island — the first by a U.S. president in 80 years — it is clear Cuba is on the verge of change. The exhibition, divided into 10 themes, among them agrarian reform, Guantánamo and missile crisis, examines the ways the Cuban government presents the history of the 1959 revolution and the subsequent consequences for the Cuban people. It questions the tension between history and memory, our perspective from the present on the events of the past. “In the United States we tend to be more familiar with the Cuban revolution as seen from the outside,” said Fares. “This exhibition wants to present a Cuban perspective of the revolution from the inside. 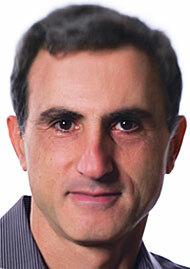 Fares was part of a 34-member Lawrence-sponsored trip that spent eight days in Cuba in mid-March of this year.